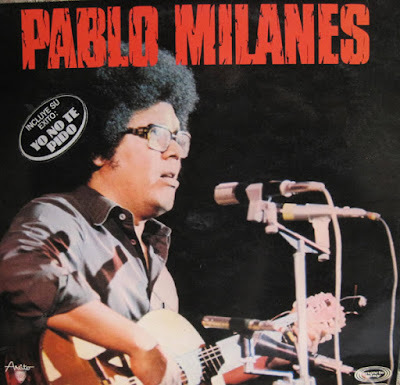 Along with Silvio Rodriguez, Pablo Milanés was one of the crucial figures in Cuba's nueva trova popular-song movement of the late '60s; sponsored by Fidel Castro's government, the collective of nueva trova musicians were essentially supposed to reconfigure and update traditional Cuban folk musics for the nation's new, modern, post-revolutionary society. Milanés gained renown for his highly poetic lyrics and smooth yet emotional singing, becoming one of the most popular and respected Cuban musicians and songwriters of the late 20th century, and releasing a hefty number of records. He is a controversial figure to some -- exiles despise his staunch support of Castro, while others criticize his musical forays into sentimental, orchestrated jazz-pop -- but his status as one of the most important links between traditional and contemporary Cuban music has remained virtually unassailable into the new millennium. No download possible, account must have been infected. Please try again - i checked the link, it works fine!